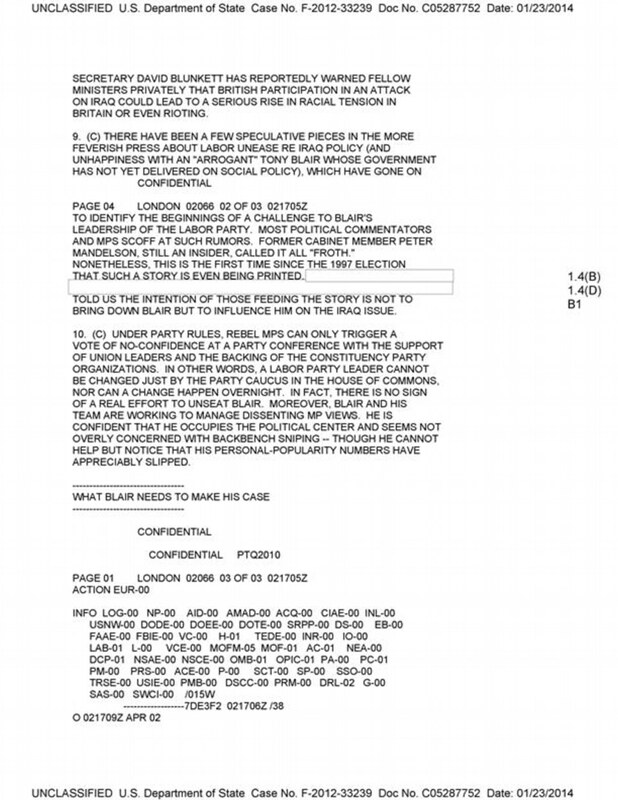 The damning memo, from secretary of state Colin Powell to president George Bush, was written on March 28, 2002, a week before Bush’s famous summit with Blair at his Crawford ranch in Texas. 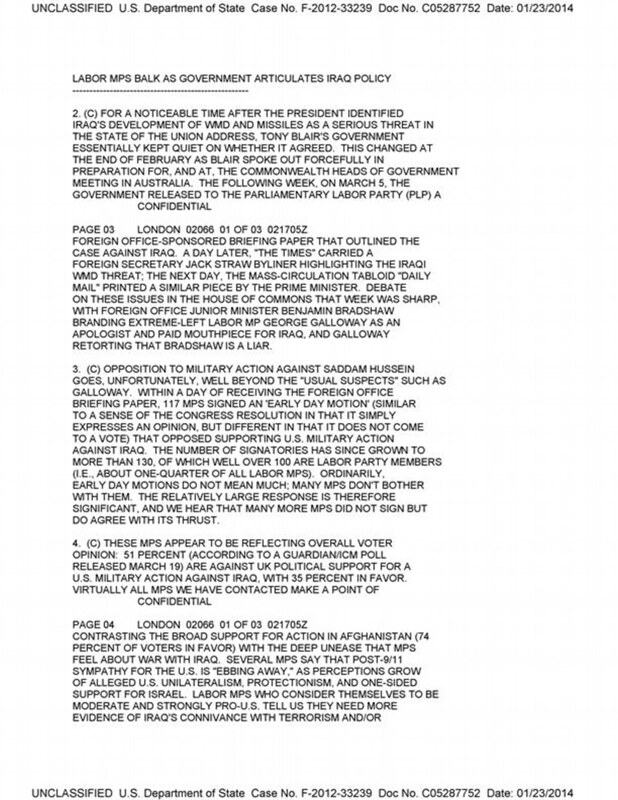 The Powell document, headed ‘Secret… Memorandum for the President’, lifts the lid on how Blair and Bush secretly plotted the war behind closed doors at Crawford. 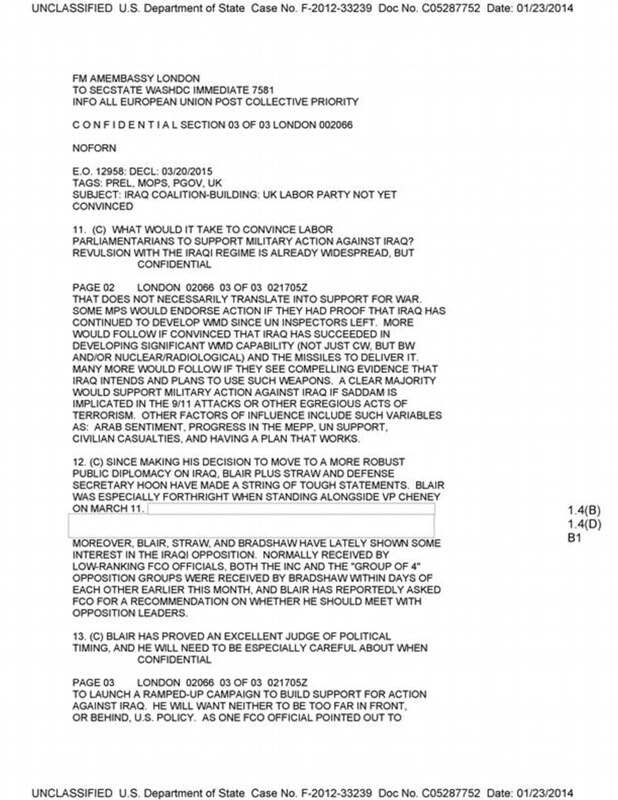 In it, Powell tells Bush that Blair ‘will be with us’ on military action. Powell assures the president: ‘The UK will follow our lead’. 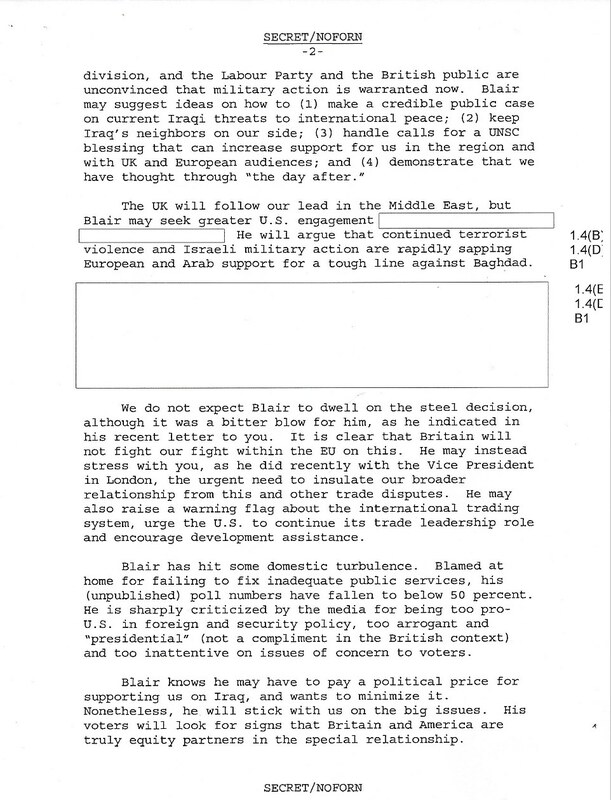 The classified document also discloses that Blair agreed to act as a glorified spin doctor for the president by presenting ‘public affairs lines’ to convince a skeptical public that Saddam had Weapons of Mass Destruction – when none existed. 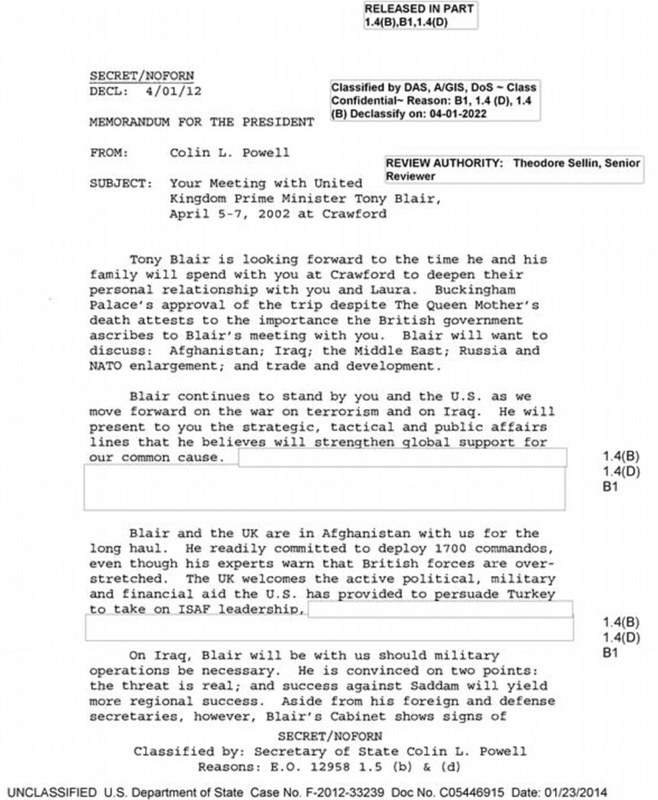 The sensational leak shows that Blair had given an unqualified pledge to sign up to the conflict a year before the invasion started. It flies in the face of the UK Prime Minister’s public claims at the time that he was seeking a diplomatic solution to the crisis. 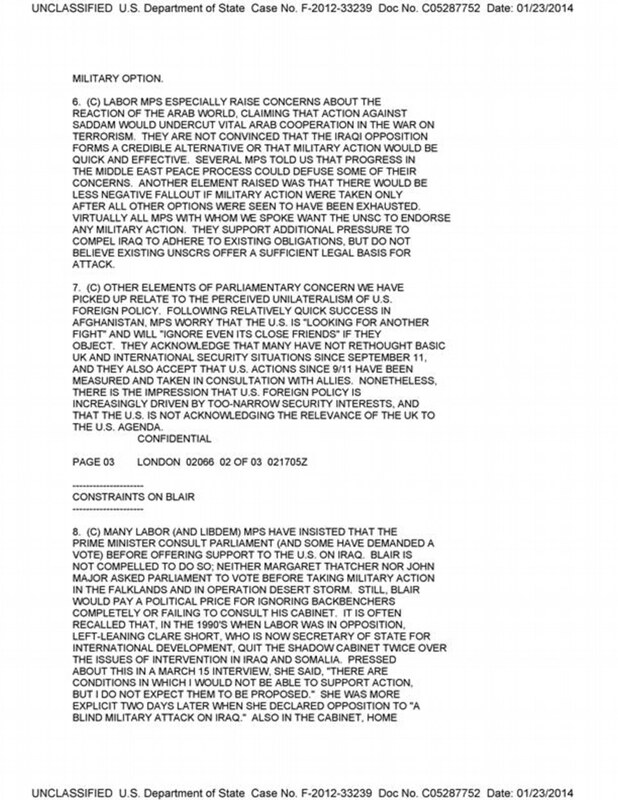 He told voters: ‘We’re not proposing military action’ – in direct contrast to what the secret email now reveals. 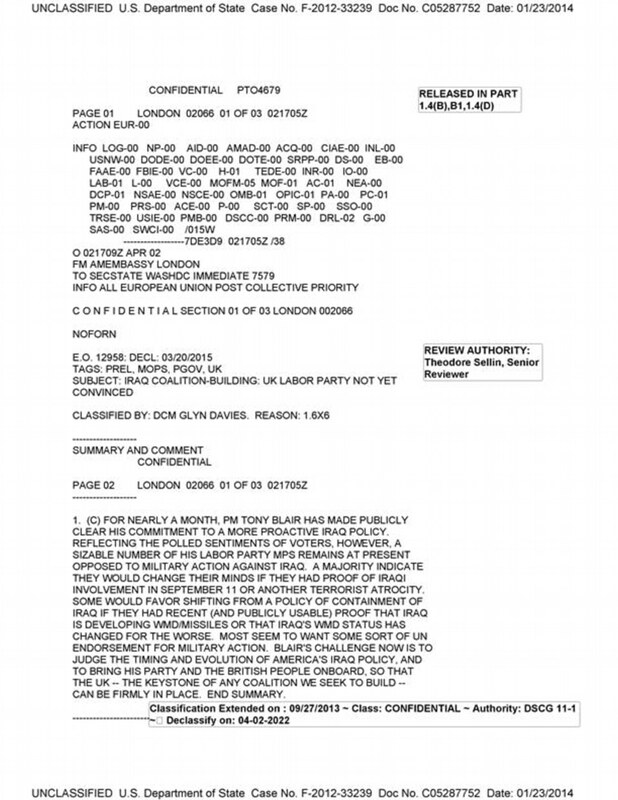 The disclosure is certain to lead for calls for Sir John Chilcot to reopen his inquiry into the Iraq War if, as is believed, he has not seen the Powell memo. 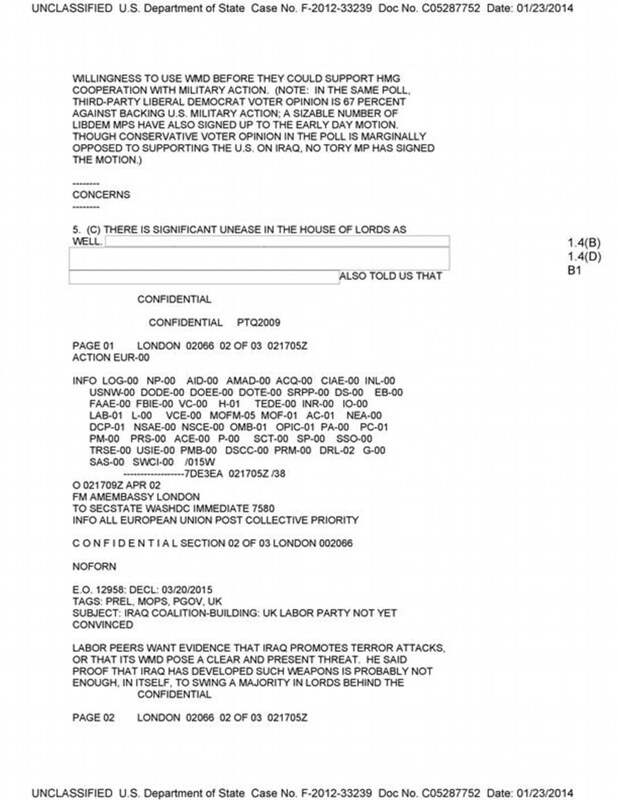 A second explosive memo from the same cache also reveals how Bush used ‘spies’ in the Labour Party to help him to manipulate British public opinion in favor of the war. 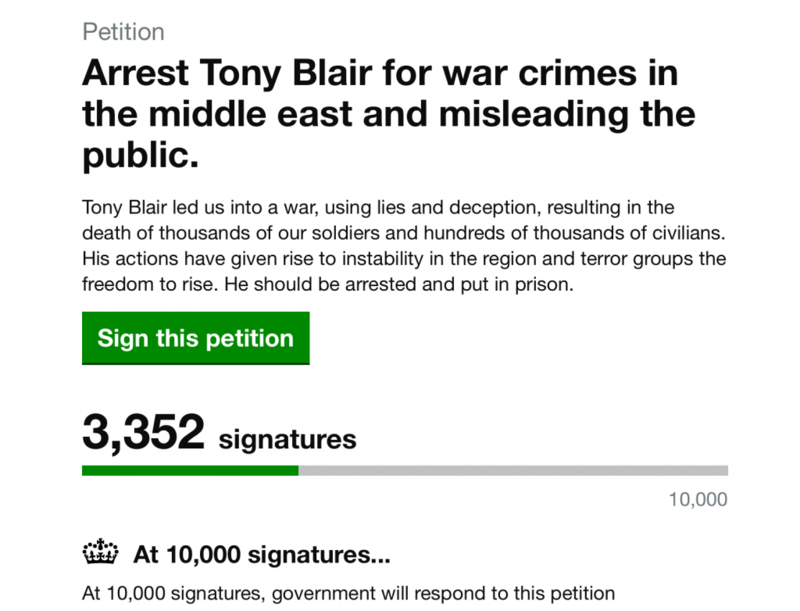 Having read the above, ask yourself the question is Tony Blair a War Criminal?